Thompson Art Studios has created sanctuaries with lush murals and sophisticated wall treatments in thousands of businesses and homes. 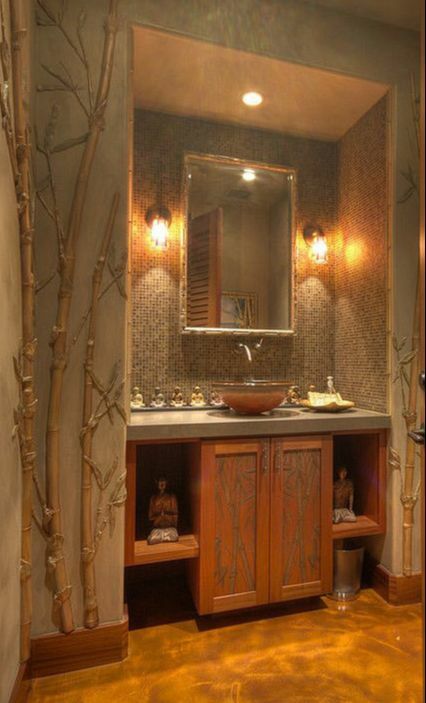 Thompson Art Studios created this bamboo inspired bathroom room by sculpting 3-dimensional bamboo on the walls and expertly faux painting the various surfaces for a unique and inspiring space. Lead Artisan Deborah Thompson received classical training in Paris and is an accomplished fine artist. Her paintings are sought out and have been acquired by numerous private and public collectors throughout the world. ​She brings impeccable technique and her eye for design to every 2-dimensional mural she paints, and 3-dimensional mural she sculpts and paints. Deborah works with clients that already know what type or style mural they desire, and with clients that cannot find the words to describe their vision. 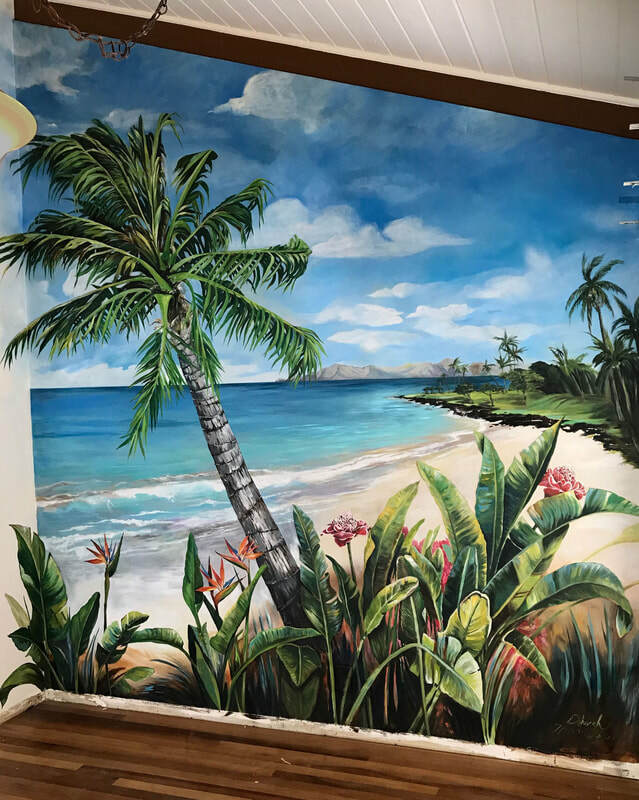 She knows the right questions to ask to develop and design custom one-of-a-kind murals that aesthetically works with the client’s home or business and fits within their budget. After a portfolio viewing and price quote acceptance, Deborah provides ideas and sketches for approval. All murals are executed in a professional and timely manner with client satisfaction the highest priority.